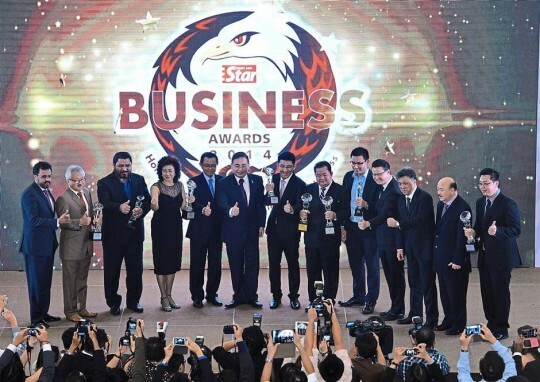 The Star Business Awards (SOBA) Ceremony 2014 was held at Connexion @ Nexus, Bangsar South City, Kuala Lumpur on last Tuesday, 25th November 2014. SOBA 2014 was organised by The Star and PKT Logistics Group Sdn Bhd, with Citroen and Main Place@USJ21 as the main sponsors. The venue was sponsored by Connexion @ Nexus while 988 and RedFM were the official radio stations. Over 700 guests attended this momentous event of the year for all small and medium enterprises (SME) in the country. The twenty three awards presented at the grand award ceremony were divided into two categories, namely “Top-Of-The-Class Awards” and “Outstanding Achievement Awards”. It was a great honour for the Exabytes Group’s founder & CEO, KS Chan to received a special mention for “Entrepreneur of the Year”. At the same time, we at Exabytes are truly delighted by the announcement! Participation was open to all Malaysia enterprises that were not part of a multi-national or listed group, incorporated in Malaysia and with foreign equity not exceeding 50%. According to Star Publications (M) Bhd group managing director and chief executive officer Datuk Seri Wong Chun Wai, The SME market is thriving with emerging companies which are now readier than ever to challenge themselves and make their mark. In its fifth year running, The Star Business Awards pays tribute to small and medium enterprises (SMEs) that stand out among competitors. Honorary guests: Wong (third from right) and Wee (sixth from left) posing with Naza Euro Motors Sdn Bhd chief operating officer Datuk Samson Anand George, 3R Quest managing director David Heah, KAT Technologies managing director Mohd Roslan Ismail, Sydney Cake House managing director Jenny Chung, Star Publications Bhd Chairman Datuk Fu Ah Kiow, Feruni Ceramiche Sdn Bhd managing director CC Ngei, Kinsabina Group group chief executive officer Datuk Francis Goh, Exabytes Network head of channel development Arren Tan, PKT Logistics Group group chief executive and managing director Datuk Michael Tio, Bina Puri Group Executive Chairman Datuk Seri Yong Seng Yeow and Sky Thomas Food Industries managing director Thomas Tang. 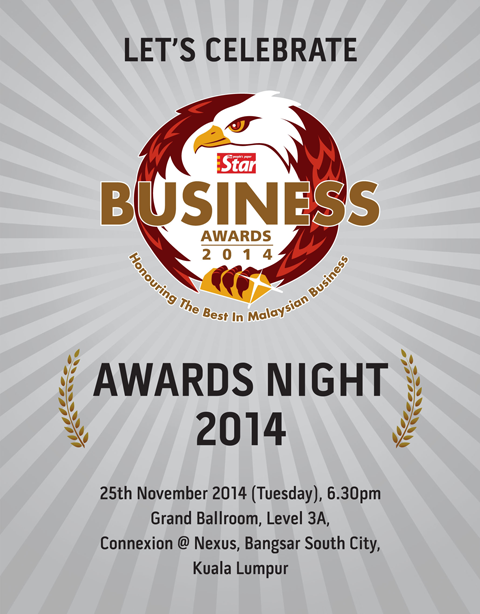 “The Star Business Awards is like the “Oscars” for SMEs in Malaysia”, Wong was also quoted as saying in his speech. The awards aim to inspire and drive Malaysian businesses towards achieving all-rounded excellence. Previous articleExabytes Designer Club (EDC) Fourth Gathering – Johor Here We Come!